While still in the U.S. Senate Biden played a major role in fostering the break-up of the Socialist Federal Republic of Yugoslavia and in promoting its former republics’ integration into the North Atlantic Treaty Organization. Over the past six years most every nation in the Balkans was ordered to provide troops for the war in Iraq as a precondition for future NATO membership and currently every single nation in the peninsula except for Serbia – Albania, Bosnia, Bulgaria, Croatia, Macedonia, Montenegro, Romania and Slovenia – has troops serving under NATO command in Afghanistan or, in the case of Montenegro, soon will have. Many of the above nations also now have U.S. military bases stationed on their soil and most if not all have signed a status of forces agreement (SOFA) to host American and NATO troops. After NATO’s first military operations in its history – Operation Deliberate Force in Bosnia in 1995 and Operation Allied Force against Yugoslavia in 1999 – and its deployment of troops to Macedonia in the beginning of this decade with Operation Essential Harvest in 2000 and Operation Amber Fox the following year, the attention of Alliance members and the bloc collectively shifted to the so-called Broader Middle East and the wars they launched in Iraq and Afghanistan. Even during that interim, though, Washington and Brussels have exploited the Balkans for training, transit and troops for both the Afghan and Iraqi campaigns. The Pentagon has acquired the permanent use of seven military bases in Bulgaria and Romania since both nations were granted full NATO membership in 2004 and those installations have been linked with the U.S. and NATO base in Incirlik, Turkey for the West’s wars in Afghanistan and Iraq and for surrogate conflicts in the Black Sea like the Georgian-Russian war in August of 2008. The Balkans are slated to play an even more prominent role in the West’s drives east and south into former Soviet space, including the Caucasus and Central Asia, and into South Asia, the Middle East and Africa. Former Yugoslavia has become a training ground for the Pentagon and NATO to integrate the armed forces of Balkans, former Soviet, Scandinavian, Middle Eastern and African NATO partners involved in the Partnership for Peace, Mediterranean Dialogue and Istanbul Cooperation Initiative programs. As of September 13 multinational NATO exercises were occurring simultaneously in the former Yugoslav republics of Bosnia, Croatia and Serbia. On September 3 NATO launched the two-week Combined Endeavor 2009 exercises to be held in three locations in Bosnia with the participation of sixteen NATO nations and the host country. In truth the exercise’s ambit reached further than Central and Eastern Europe into the South Caucasus. The participating NATO members and partners were Albania, Armenia, Azerbaijan, Bosnia-Herzegovina, Croatia, Germany, Georgia, Macedonia, Moldova, Montenegro, Norway, Ukraine and the U.S. The exercise is sponsored by the Pentagon’s European Command and was held for the first time in Serbia this year. This was occurring as NATO and most of its members states are completing the severing of Kosovo from Serbia. In the middle of the NATO exercise in Serbia the European Union’s EULEX (European Union Rule of Law Mission in Kosovo) mission engineered a customs agreement between Kosovo and Serbia, thus recognizing the border between the two as an international one. That is, further formalizing Kosovo’s independence. Now the Western military bloc that mercilessly bombed Serbia for 78 days in 1999 and has wrested Kosovo from it is holding drills on Serbian territory. Also earlier this month the American guided-missile destroyer USS Stout returned from a deployment in the Black Sea where it visited ports in Romania, Bulgaria and Georgia, in the last case near the coast of Abkhazia, about which more shortly. Across the Black Sea from Romania, Reuters announced on September 11 that the U.S. plans a $7.8 billion dollar deal with Turkey to supply it with Patriot Advanced Capability-3 (PAC-3) interceptor missiles. 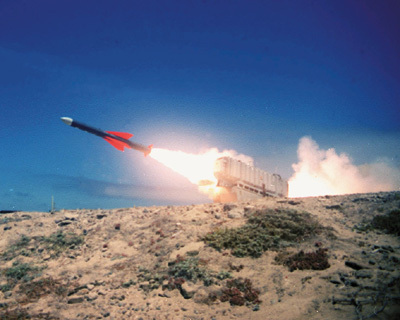 The PAC-3 is a substantially upgraded version of the Patriots that were sent to Israel on the eve of the 1991 war against Iraq and to Turkey ahead of Operation Iraqi Freedom in 2003. The pattern inescapably suggests an imminent replay of the first two attacks in the Persian Gulf, this time against Iran. Turkey is the only NATO member which borders Iran. The recent trajectory of the American guided-missile destroyer Stout examined earlier, from the Eastern Mediterranean to the Black Sea, indicates Pentagon and NATO designs on the geopolitically vital arc that begins in the Balkans, dips south to the Middle East and proceeds back north to the Caucasus. Aegis interceptor systems capable of blowing up ballistic missiles above the atmosphere. For Israel, where Higgins docked this week, Aegis is an especially close asset. Israel, the Palestinian territories and north Egypt in the event of a missile war. “We are hoping for results while political negotiations continue. Otherwise our army will fulfill its function [to free the land] at a moment when our state finds it necessary. Shortly before the NATO delegation arrived, the U.S. client regime of Mikheil Saakashvili seized vessels in the Black Sea headed to Abkhazia. On September 2 Abkhazian President Sergei Bagapsh “ordered the Republican Naval Forces to destroy all Georgian ships violating Abkhazian territorial waters”  after Georgia had impounded 23 vessels in neutral waters so far this year. The military expansion and aggression begun by the U.S. and NATO in the Balkans fourteen years has not only continued unabated but has widened its area of operations to take in the former Soviet Union, the Broader Middle East from the Atlantic Coast of Africa to the Chinese border, and Northeast Africa. Unless it is stopped much of the rest of the world confronts the same fate.